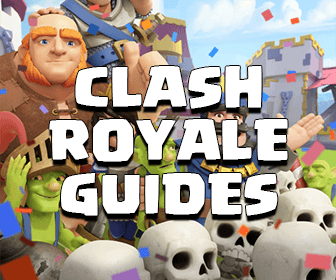 Okay guys, today I am going to give you a quick guide on choosing the right spells for your Clash of Clans army. 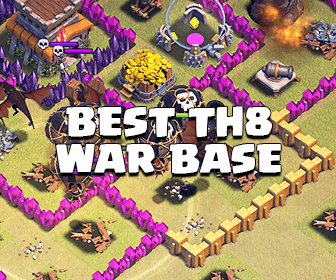 As we all know, most attacks we use from late Town Hall 8 to Town Hall 11 have 2-stage attack plans. For example, Killsquad -> Hog or Lava Hound -> Balloon. And, I have seen tons of attacks failing because of the wrong spell selection/usage. I am pretty sure that lots of you guys probably were thinking about this one but just didn’t say out loud. I usually see Kill Squads with 160+ troop housing spaces and about 2 spells devoted to them, or 20+ backend Hog Riders with no more than 1 spell devoted to them. These attacks often end with no more than 2 stars. First, when build your army composition, think about the objectives and the size of it. Is there any defensive Bowler? Is there any Tesla farm hitting your Balloons? Account all of those specific scenarios and bring the right spells. Sometimes, using the wrong spell on the important subset of your attack is a very terrible mistake. Below, I am going to show you some specific examples I usually see. Just look at them as the pure examples, no more. I just want to show you some examples I personally use to choose the right spells for my army composition. When using GoVaHo, I usually can’t decide on spells, truly. But this is my logic that goes into choosing the right spells for the army. At first, I start with Hog Rider. If I use less than 10 Hogs, no Healing spell needed. If I use 10-14 Hogs, I will go with 1 Healing Spell. If I use 15-22 Hogs, I will go with 2 Healing Spells. Then, I look at the Kill Squad and see what they really need to get the job done. 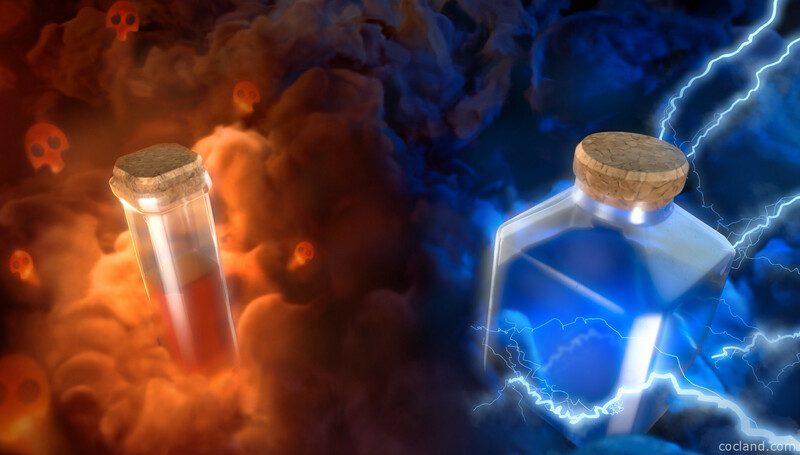 If the Kill Squad job is to trigger the the Double Giant Bomb and kill the Clan troops (the most common objective), I usually give them 1 Healing Spell and 1 Jump Spell. If they are not going to trigger the Double Giant Bomb but have to take down the Town Hall, Clan Castle, Air Defenses and a X-Bow, I may bring the Rage spell to help them take out those high HP buildings faster. Once I have the basic blueprint, I will reevaluate the whole strategy. Maybe I need 3 spells for the Kill Squad, but I have 19 Hog Riders for the backend stage. I should beef up the Kill Squad by using 3 Valkyries instead of 5 Hog Riders. Etc. 1 Golem + 17 Valkyries + 4 Wizards + 6 Witches + 10 Hog Riders + Jump/Healing/Rage Spell for Kill Squad + 1 Healing Spell for Hog Rider. So because of the Kill Squad, I will go with 31 Miners. I would want to spend 3 Healing Spells for the Miners. But can the Kill Squad get the job done with only 2 spells? Now let’s make some adjustments for our original plan. That leaves room for 23 Miners in total including Clan troops and 2 Healing spells to devote to them. Now I will compare the plans to see which one would be more effective. 2 Golems + 7 Wizards + Baby Dragon + 8 Bowlers + 4 Wall Breakers + 23 Miners + Rage/Jump/Freeze for Kill Squad + 2 Heals for Miners. Goal: Kill Squad takes out both Inferno Towers. 1 Golem + 6 Wizards + Baby Dragon + 8 Bowlers + 4 Wall Breakers + 31 Miners + Rage/Jump for the Kill Squad + 3 Healers for Miners. Goal: Kill Squad takes out Inferno Tower. Okay guys hopefully you have found this small guide helpful. Don’t hesitate to comment If you need any help!